Look what God blessed me with today. Yup, it is basil, and a whole lot of it. It seems like I have a lot of extra herbs in my garden. The one in particular I am thinking about is basil. 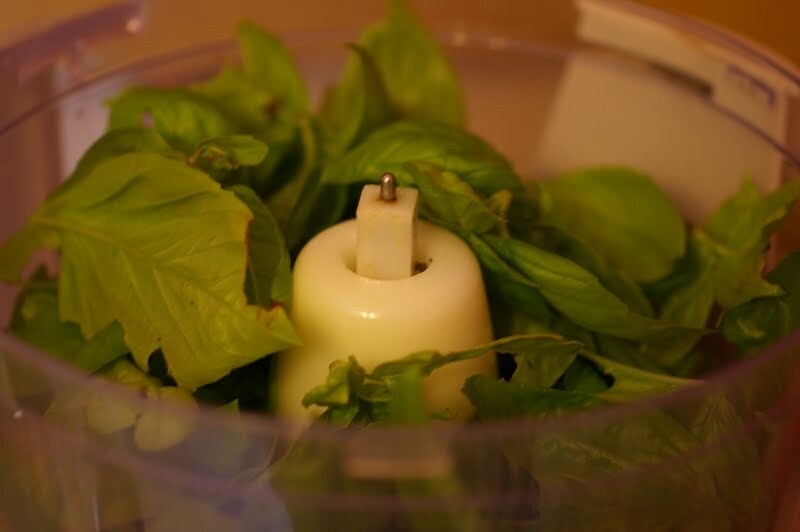 So in the summer, when your basil is abundant and fragrant, make some pesto. You will be really glad you did. In a food processor, chop basil, garlic and walnuts. While the food processor is still running add oil until combined. Add cheese salt and pepper. Hi Veronica, I couldn’t agree with you more about making up a nice batch of pesto like yours when there’s plenty of basil to go around. We have some growing in our yard with 5 heirloom tomato plants nearby. The other morning, I was giving everyone a nice drink before the heat of the day took hold and suddenly a cool morning breeze wafted up the aromatic scents of basil and tomato in the air…it was heavenly and intoxicating. Thank you for sharing this recipe. Delicious! 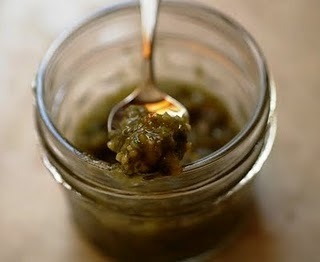 I love fresh pesto and your photos are beautiful! Great pesto – so yummy, so versatile! I definitely need to try this out. I have plenty of basil and I have never had pesto made with walnuts. Bookmarked-yum! Such a cute picture and a wonderful pesto. omg! that first picture is awesome! i like how the jars are balancing on top of eachother without toppling over… sooo cool! 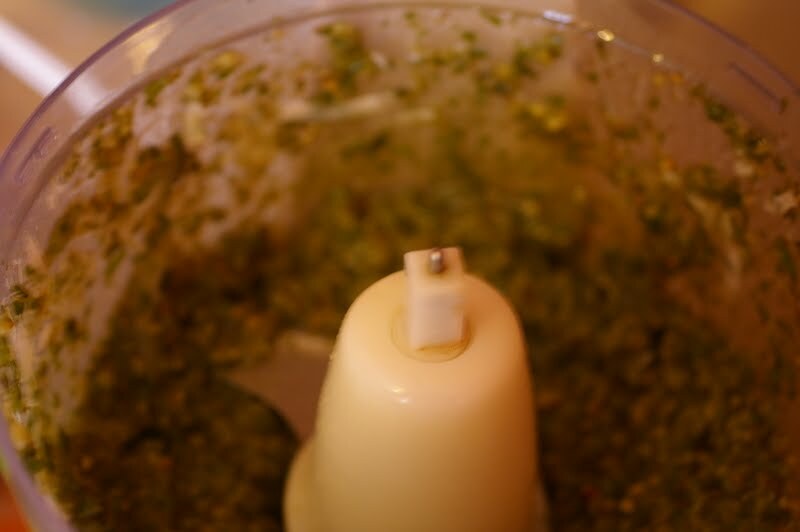 pesto is such a classic… great recipe! I like the addition of walnuts in this pesto recipe. It really looks very tasty! Sound fantastic..I love pesto and walnuts in it!! So simple and oh so good. Love the walnuts in the mix, Veronica. Yum! I love fresh pesto. Nice photos. Basil seems to be the only thing we are blessed with from the garden this hot, dry summer. I love pesto. I like to freeze mine in ice cube trays for use later in the year. I can almost smell the basil! 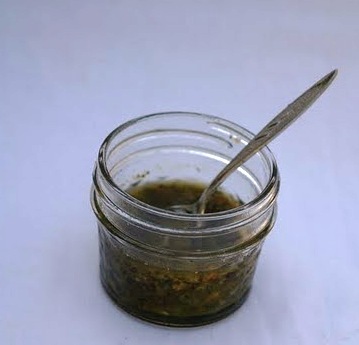 A simple pesto is delicious in so many meals (my favorite is on sandwiches!) Beautiful photos. I usually make my basil pesto with pignoles and pair the walnuts with Italian flat leaf parsley for a winter pesto. I was looking for a recipe for pesto that would be simple. Now I just need to go get the basil out of my garden! Nice addition of walnuts too! I was wondering what I was going to do with all my basil…Thanks for the idea! Wow those jars are well balanced! My neighbor has lots of basil. 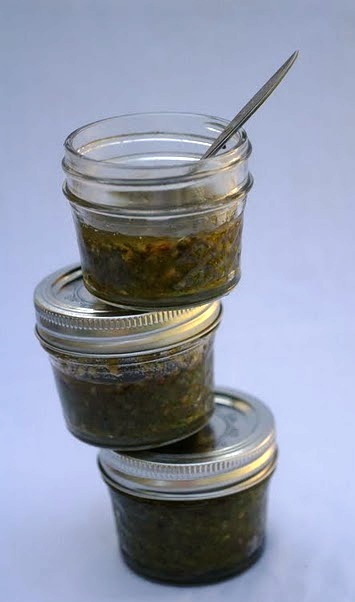 Time to “borrow” some for this great pesto recipe! Oh Veronica! You are so right when you say pesto is perfect! Green sunshine in a jar! I wish that my basil was as plentiful! Promise to self: Next year, I will plant more! A row of it!